Once a "one-gang town" with the Rebels as the sole bikie gang, Canberra is now home to the Finks, the Comancheros, the Nomads and Satudarah. 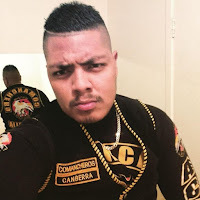 In New South Wales, anti-consorting laws, together with police anti-gang taskforce Strike Force Raptor, make it illegal for gang members to gather in number. The same laws do not apply in the Australian Capital Territory (ACT) which houses Canberra, Australia’s capital. This provides a free rein to bikies and they have moved in. That means a growing wave of drive-by shootings, arson, home invasions, bashings and brothel brawls. Late last year the president of the Australian Federal Police Association warned that the ACT community would "pay the price" for not introducing anti-consorting laws. That warning has quickly come to pass. The newest gang in Canberra arrives with a reputation for extreme violence. 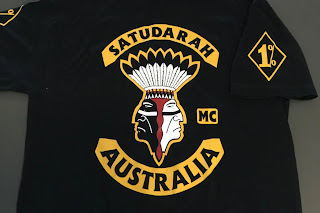 Satudarah means “one blood” in the Malay language. The club has 44 chapters and around 4000 members worldwide. Gang members come from a range of ethnic backgrounds. The reputation of the gang grew when it took on the Hells Angels and the Bandidos. In June last year, a Dutch court announced a complete ban of the club in its home country.